To participate in the CPYBL, we expect all parents, players, coaches, and referees to adhere to our codes of conduct. Please take a moment to familiarize yourself with the Coach Codes of Conduct. 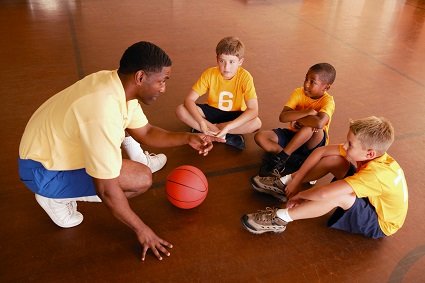 (to sign the on-line Code of Conduct, you must login to your Coach account and go to your Coach Portal) We expect all coaches to conduct themselves in a manner becoming of a youth leader. All individuals are responsible for their own behavior. Our rules document is also available if you have any questions about the rules that govern our league. Not knowing a league rule is not an excuse for violating a league rule. New for the 2018-19 Season! In order for a child to participate in the Cincinnati Premier Youth Basketball League, ALL parents/guardians must fill out a Liability Waiver form for each of their children playing in our league. We try to help out our coordinators by matching up waivers with roster entries so please double check the spelling of your child's name and make sure you choose the correct organization. In order to be more helpful to our organization coordinators, waivers will be matched to roster entries based on three pieces of information this year: organization name, player last name, player date of birth. All coaches require special access to our web site in order to log game scores as well as have access to a portal with information about their team. An account is created for each coach in late October after teams have been approved based on the email address used by their coordinator to register their team. ANY ACCOUNT THAT A COACH CREATES FOR THEMSELVES WILL NOT HAVE COACH LEVEL PRIVILEGES initially but privileges will be given to that account automatically if it has the same email address used by your coordinator when registering your team. This will occur when the team is approved in late October. When you can see your team listed on the Standings page, this indicates that an account should have been created for you and you should have received an email from the web site. You can enter your organization and email address below to check if a coach account exists for you. If not, then contact us and we will get you setup! Coaches, you have the opportunity to inform your coordinators of potential schedule conflicts for your team in October and we will work around them if they are valid issues (i.e. school event, etc ...). Once the schedule has been published in November, you must inform your coordinator if your team cannot play a scheduled game. Please don't reach out to the league directly unless it is a last minute cancellation due to illness or injury. If you need to cancel the day before OR the day of a game, please contact the other coach directly, then contact your coordinator, then contact the league. We need to know in order to inform our referee assignor. Your organization is subject to a cancellation fee if a game is cancelled within 7 days of game time. Thanks! The CPYBL offers a variety of email and SMS notifications for parents, coaches, and coordinators to keep them up to date with important information or to save them time when performing an administrative task such as logging a game score. If you would like to subscribe to notifications, please edit your account. For parents and coaches ... subscribers will receive an email or SMS text if a schedule change occurs for a team to which you have subscribed, including game adds and cancellations. Get tournament scores sent to your phone as they are posted. Subscribe to a specific team(s) and receive all scores for that team or scores for all teams in that bracket. For coaches ... subscribers will receive an email update during your game with a link to the score reporting form. If you are the winning coach, it will take less than a minute to log your score. The following is the timeline for the 2018-19 basketball season.